ELMHURST, IL, January 17, 2014, Catherine A.Z. 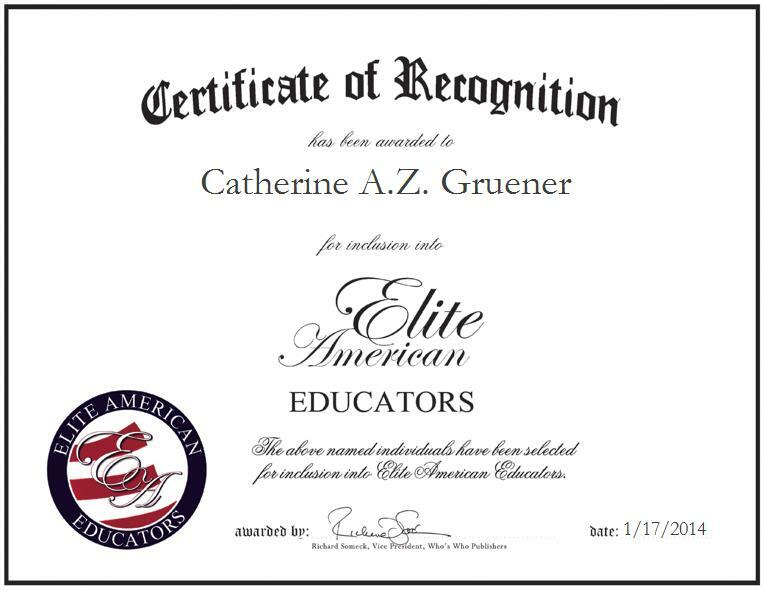 Gruener, Founder and Owner of Gruener Consulting, LLC, has been recognized by Elite American Educators for dedication, achievements and leadership in education consulting services.Ms. Gruener started the consultancy five years ago after gaining extensive experience in psychosocial-based scientific research and assessments. She decided she wanted to start a company that would implement interventions that assist in the health and well-being of children, parents and families. Gruener Consulting, LLC is an education program provider that is geared toward parents and educators and provides workshops, positive discipline parent classes and seminars, and services for gifted children. She believes that adults, parents and educators have to start with a child’s strength and help them burst from that energy into solving problems in other more challenging aspects of their lives. 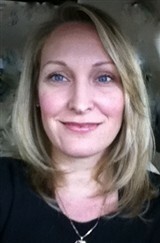 In her role, Ms. Gruener is responsible for conducting workshops, seminars and classes. She also researches and conducts presentations on the social and emotional needs of gifted children.Prior to establishing Gruener Consulting, LLC, Ms. Gruener was involved with the Adler School of Professional Psychology for eight years. She held a variety of positions at rehabilitation centers, universities, and was an established counselor, which enabled her to learn how to interact with a diverse group of people.Ms. Gruener became certified in positive discipline in order to teach parents and educators how to positively affect children’s development. She also earned a Master of Arts in counseling at Adler School of Professional Psychology and a Master of Arts in neuropsychology at the University of Northern Colorado.She attributes her success to her devotion to learning, listening to her intuition and pursuing her passions. She encourages other women to never give up, learn from their mistakes, and continue to pursue dreams and aspirations. Looking toward the future, Ms. Gruener intends to expand her organization to include counseling services, workshops and classes for educational institutions.